Poltair School recognises that it has a duty to ensure arrangements are in place for safeguarding and promoting the welfare of children. All members of the school community (including volunteers and governors) will at all times establish and maintain a safe and stimulating environment where children feel secure, are encouraged to talk to adults they can trust and are listened to. Through training, all staff (teaching and nonteaching) will be able to recognise the signs of abuse and understand their responsibilities when a child may be at risk of harm. Training of all staff will be updated annually and the school has a large team of Tier 3 trained professionals. The school will ensure that it provides written referrals in the correct format and recognises the importance of attendance at all meetings called when there is a concern regarding the safeguarding of a student. Working together to safeguard children – a guide! Working together to safeguard children This booklet offers an easy to read guide for safeguarding. In line with the guidance 'Safer Recruitment', the Headteacher and Chair of Governors have completed Safer Recruitment training. All staff including volunteers who have access to children in our school have been carefully selected and screened and all have had an enhanced Criminal Records Bureau check prior to commencing work. All details of all appointments/checks are held in a central record. Staff will be inducted into the school and training will be given with regard to child protection. Our 'Safeguarding Team', as shown above, are fully trained and receive updated training every 2 years. The designated person ensures all confidential records are kept securely. It is the responsibility of the designated member of staff to have oversight of all discussions with Social Care when concerns arise regarding the safety of a student in this school. All such students are closely monitored, including attendance, and where extra concerns arise these are always passed on to the appropriate agencies. The DSL & DDSL ensure that all staff are trained with regard to Safeguarding and Child Protection. Our school has a designated safeguarding governor, Mr S White, who will act as the link person between the governing body and the designated leads. The governor will review safeguarding procedures/practices including access to training through termly meetings with the safeguarding officer. The governors will ensure that sufficient time is given to carry out the duties including accessing training. Where safeguarding concerns arise regarding a member of staff, the governor will liaise with the Chair of Governors. 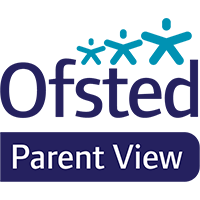 This school believes in working closely with parents and there is an open door policy so that parents can feel able to visit at any time to discuss concerns. Email is used extensively by parents to contact members of staff directly including the Headteacher. This school is fully signed up to the Safeguarding of Children and the Policy is in place and can be found on the website as can all other policies e.g. SEN - Behaviour and Attendance - Anti Bullying. From time-to-time the school receive highly confidential reports (Vulnerable Individual Screening Tool) from the Police. These will contain brief details regarding any incidents dealt with by the police that have connections with young people attending Poltair School. We always log these and ensure that any appropriate actions are followed up. Child Sexual Exploitation is one particular risk, laid out in the KCSIE 2016 Guidance (Keeping Children Safe in Education- 2016). This is an areas which is included in update training for staff and we ensure that we log to track any concerns. More guidance can be found here. Prevent is a government strategy designed to stop people becoming terrorists or supporting terrorist or extremist causes. The Prevent strategy covers all types of terrorism and extremism, including the extreme right wing, violent Islamist groups and other causes. Guidance for schools on the Prevent Duty can be found here. The Prevent strategy is not just about discussing extremism itself, which may not be appropriate for younger children. It is also about teaching children values such as tolerance and mutual respect. These are both key in our school values and what we already do. The school will make sure any discussions are suitable for the age and maturity of the children involved. Radicalisation - the process by which a person comes to support and be involved with extremist causes. Useful Websites for parents/Carers/Children to access Information, Advice, Guidance and Support. https://www.nspcc.org.uk - National Society for the Prevention of Cruelty to Children. www.childline.org.uk - Advice, guidance and support for children and families. www.tigermobiles.com - How to protect your children on their smartphone.